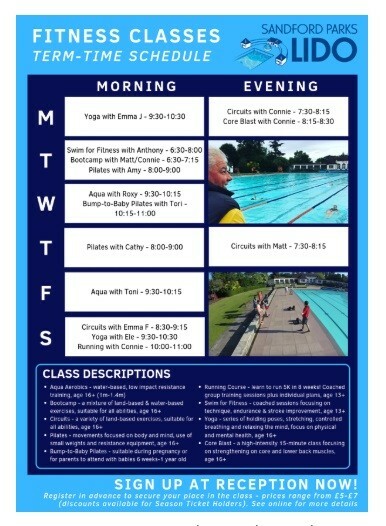 Fitness Classes Return To Sandford Parks Lido! Classes resume on Tuesday 23rd April 2019. Please see the infographic below. External Website: More details about Sandford Parks Lido and Fitness Classes Return To Sandford Parks Lido!